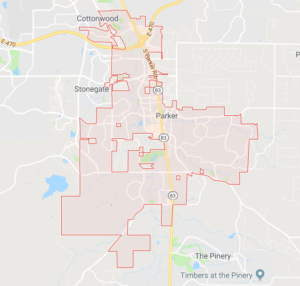 Locked out of Your Car/Home in Parker, CO? We Can Help! Are you worried about your security in Parker? Do you wonder if your home or business has the system sin place to notify you of intruders and keep unauthorized people out of sensitive areas? Do you struggle to sleep at night because you are worried about break ins, things getting stolen, and more? At Colorado Security Products, we have all of the products and services that you need to feel safe again. Keep your family, your money, and your business secure when you invest in the systems and measures that will keep them that way. Are you looking for a safe? This could solve a lot of your security worries. Keep your papers, weapons, and other valuables away from prying eyes and grasping hands. We can help you find a safe that fits your space, that has the locking mechanism of your choices, and that thieves will not be able to break into or steal. Maybe you are more worried about access control. Do you need to keep certain people in or out of a particular area? You can issue them access codes or ID badges, and we can make sure that everyone stays where they are supposed to stay. We can also help you get reinforced doors, in case you’re concerned about someone breaking down the door itself. Do you want to know right away if there are intruders in your home or business, and have the proper authorities notified if unauthorized people enter? There are many security systems on the market and we can help you select the one that is best for your needs and your space. We’ll install your system, too, so you don’t have to worry about getting that done right. Maybe you want to be able to monitor certain areas in or around your home or business, and you need access to those 24 hours a day and 7 days a week. We can help you select a camera or cameras that will help you know exactly what is going on. We will also come up with a strategy for installing them that allows you to see down every nook and cranny of your space. Before we leave, we’ll make sure you know how to use your cameras and recording equipment, so you can get the most out of your investment. We also keep a locksmith standing by 24 hours a day and 7 days a week, just in case you need something. We know that it’s easy to lock yourself out of your vehicle or your home any day and any time, even when it’s not in regular business hours. Security systems can go haywire, too, requiring professional intervention, and this isn’t always convenient. We are proud to serve as Parker’s emergency locksmith. Just give us a call and let us know where you are and what you need, and we’ll come out as soon as we can to solve your problem. Don’t worry and don’t hesitate to call. We are always happy to come out to Parker!